It is a matter of great pleasure for me to congratulate the Pakistani community in Saudi Arabia on the occasion of National Day of Pakistan. Pakistan and Saudi Arabia enjoy historic and fraternal relations, which are deeply rooted in our shared religious and cultural beliefs. 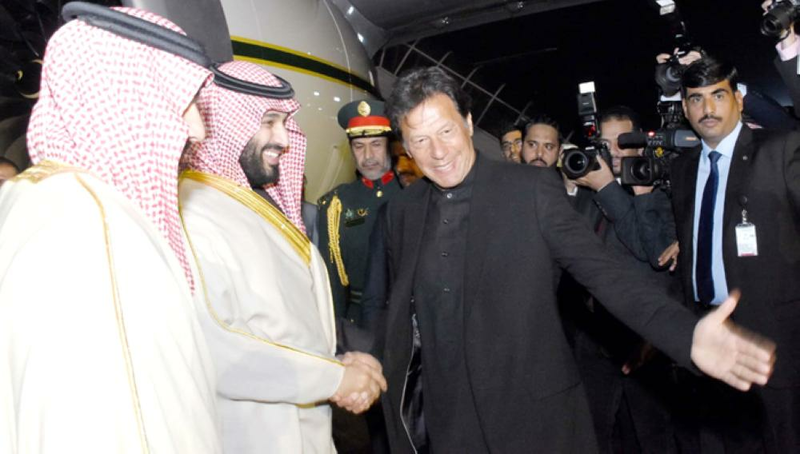 Our bilateral ties, based on mutual respect, understanding and cooperation at regional and international forums, have entered a new era of friendship after recent bilateral high-level visits, especially that of Prime Minister Imran Khan and the Crown Prince Muhammad Bin Salman, deputy premier and minister of defense. I must credit the visionary leadership of Custodian of the Two Holy Mosques King Salman for taking personal interest in steering our bilateral relations to new heights. The status of Custodian of the Two Holy Mosques and the Saudi leadership in the hearts of Pakistanis have always been revered. 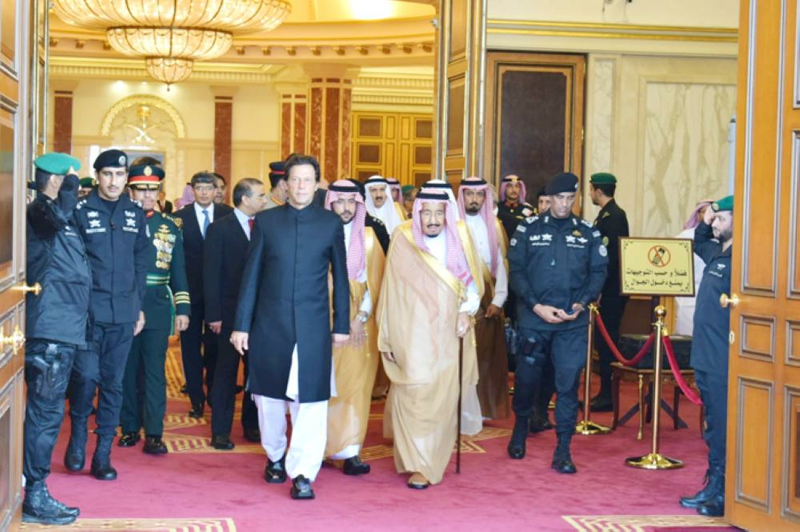 Pakistan has always lauded the efforts of the Saudi leadership in bringing peace and stability across the world in general and the region in particular. Saudi Arabia has been quick to render political and material support to alleviate sufferings of Muslims whenever opportunity arises. To this end, Pakistan has also been assuring the leadership of the Kingdom and its people of its full support and help. The bilateral relations of our two countries covers a wide spectrum of cooperation. Both countries have an abiding genuine interest in further augmenting this mutually beneficial relationship. After the recent high-level visits, the two countries are especially focused to improve their economic and trade ties. 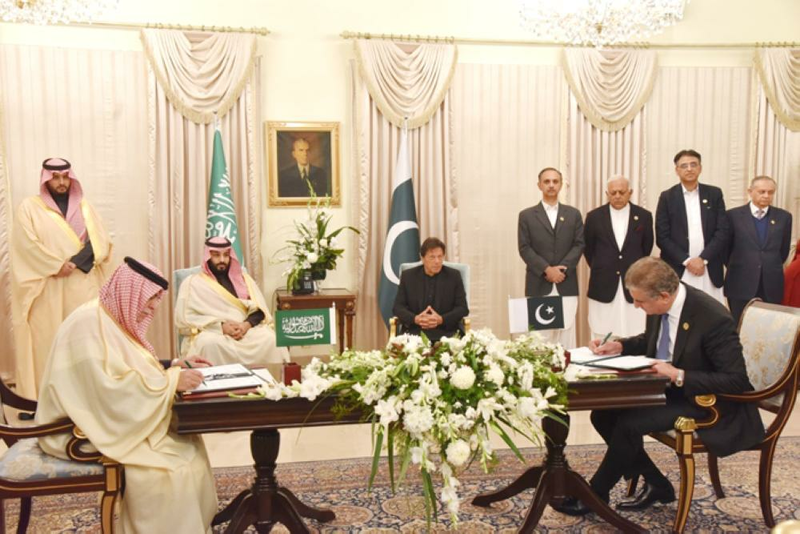 In this regard a high-powered Pakistan-Saudi Arabia Supreme Coordination Council has been constituted, which will be chaired by the Prime Minister of Pakistan and the Saudi Crown Prince. The investment in Pakistan is also an area, which has gained significance in the recent past, especially after the announcement of Saudi Arabia to invest $20 billions, including an oil refinery in the coastal city of Gwadar. We appreciate the vision of the Kingdom to transform and diversify its economy to lessen its dependence on oil. The vigor and the resolve with which Saudi government is pursuing the transformation agenda is laudable. Saudi Arabia is set to become a modern and progressive economic powerhouse once the vision is realized by 2030. Pakistan has also embarked on a strategic development program under the ambit of China Pakistan Economic Corridor (CPEC), envisioning an investment of over $60 billion. Apart from mega infrastructural development projects, Pakistan is set to become regional economic hub through enhanced connectivity. I foresee Vision 2030 and CPEC as common platforms furthering our economic and trade relations. The two governments are steadily making efforts to bring about an enabling, secure and conducive environment for bilateral investments, exchange of business delegations, trade facilitation and coordination/collaboration between the counterpart organizations. The number of Pakistani Diaspora in the Kingdom is around 2.5 million. The bulk of expats are engaged in blue collared jobs while quite a few are highly skilled professionals. Pakistani workers in Saudi Arabia are known as extremely industrious, exceptionally dedicated and trustworthy. Pakistani professionals, especially chartered accountants, doctors, engineers and IT professionals have earned great respect for playing a vital role in the development of Saudi Arabia. As the Kingdom looks to diversify its economy and implement its Vision 2030, we expect more professionals from Pakistan to play a valuable role in the realization of this goal. I consider these workers as a strategic asset for both counties, helping to further cement our bonds of brotherhood. I am confident that in the days to come Pakistan-Saudi relationship will be further strengthened and will bring an era of prosperity for the people of the two countries.